Singapore, 13th November, 2017. Chronic obstructive pulmonary disease (COPD) is an important public health challenge as it is a major cause of chronic morbidity and the 4th leading cause of death worldwide1.In patients with COPD, exacerbations are a major contributor to worsening lung function, impaired quality of life, emergency healthcare use and COPD-related mortality. A large observational study, led by Prof. David Price of the Observational and Pragmatic Research Institute (OPRI) and supported by the Respiratory Effectiveness Group (REG), helps to identify those at increased risk of COPD exacerbations. This research uses the Optimum Patient Care Research Database (OPCRD; www.optimumpatientcare.org), which comprises a large patient population drawn from geographically and socioeconomically diverse practices throughout the UK. The benefit of this approach is the inclusion of a diverse spectrum of COPD patients, many of whom would not meet the eligibility criteria for randomised controlled trials despite being representative of those regularly seen by clinicians. In ex-smokers with stable COPD, an elevated blood eosinophil count was associated with higher rate of exacerbations in the following year. No increase in exacerbation rate was seen with elevated eosinophil levels in current smokers. 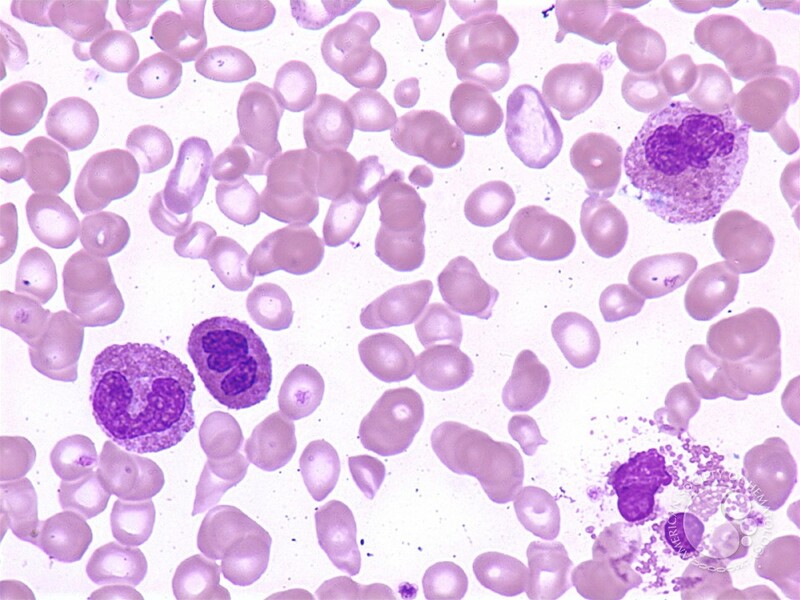 The increased exacerbation rate with elevated blood eosinophil levels was found in patients treated with inhaled corticosteroids (ICS), which is consistent with previous research where ICS treatment failed to lower the blood eosinophil count2. These findings, published in the European Respiratory Journal, identify a population, ex-smokers with stable COPD but elevated eosinophil levels, where a specific treatment of eosinophilic inflammation may be beneficial in minimising the risk for individual patients. Lozano R, Naghavi M, Foreman, K, et al. Global and regional mortality from 235 causes of death for 20 age groups in 1990 and 2010: a systematic analysis for the Global Burden of Disease Study 2010. Lancet. 2012; 380 (9859):2095-128. Barnes NC, Sharma R, Lettis S, et al. Blood eosinophils as a marker of response to inhaled corticosteroids in COPD. Eur Respir J. 2016; 47: 1374–1382.